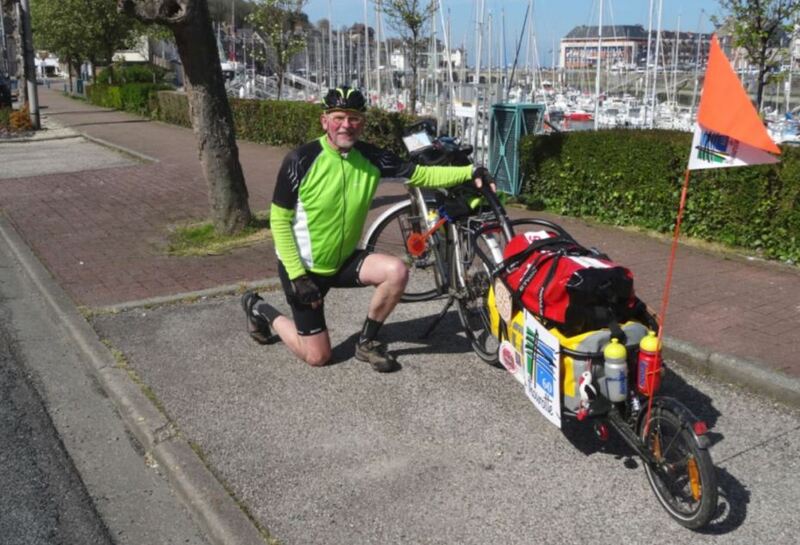 Alain has begun his Tour de France and will tell us each day about his route, equipped with his Aevon bike trailer. Departure at 7.40am in the cold with a temperature of 0°C. But in the afternoon it went up to 20°C. 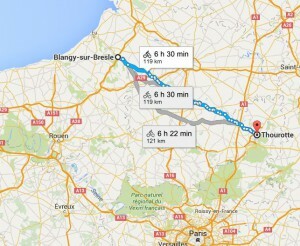 This route was very pleasant and took me along the Oise : Gournay, Maignelay, Montigny, Breteuil. I stopped for lunch at the 90th kilometer (at Poix-de-Picardie) and crossed a department to reach my destination around 4.30pm. Today my ascent represented 1103 meters, with an average speed of 15,2km/h and I spent 8.16am on the bike. 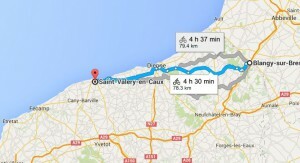 Departure around 8.00am in the direction of the Le Tréport along the Bresle. I cycled for 99km, with an average speed of 13,4km/h and spent 868m climbing. 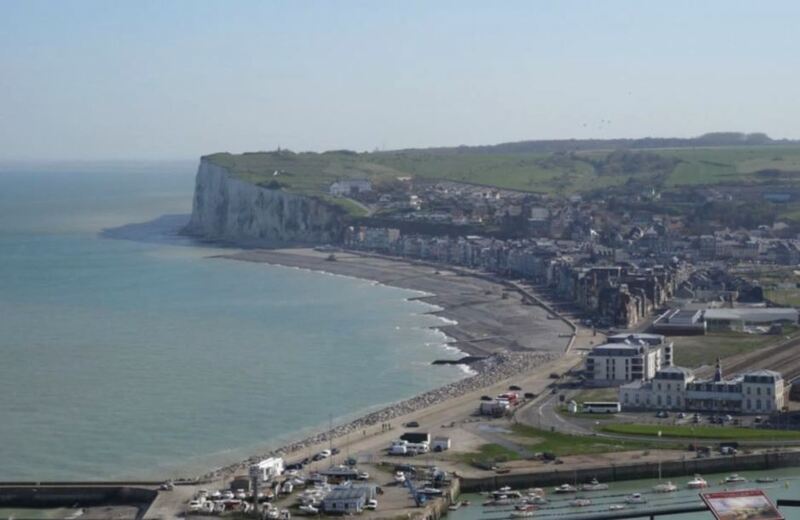 I saw the bautiful villas of Mers and Dieppe, named the city of the four harbours. Everything was fine with beautiful weather. Even the wind blew in the right way.